A stunningly unique habitat of native, endangered species flourishes on ACRES Land Trust’s recent acquisition eight miles southeast of LaGrange. 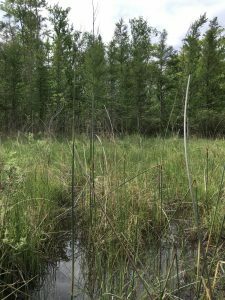 The 102-acre Grass Lake property contains a marl prairie – an unusual mix of acid-hungry plants and basic soil-loving plants growing heartily atop the limestone-rich sand and gravel. Some say the marl is almost 30 feet deep; state geologists ran out of drill at 16 feet. 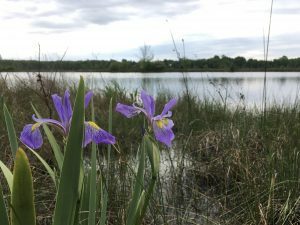 “Grass Lake is one of ACRES’ most unique properties and we believe it’s the largest marl flat in Indiana,” said Jason Kissel, executive director of the 7,047-acre land trust. Mining of both the underlying sand and gravel for concrete and the alkaline-rich marl for fortifying cropland ceased about 30 years ago. Since then, the property has remained largely undisturbed by man and equipment, Kissel said. In surveys, state ecologists have noted “highly significant” species of plants, birds, insects, endangered spotted turtles and other rare creatures that have claimed Grass Lake for their home and for migrating stopovers. Many of the native plants are on the state’s endangered watch list. Most are recently documented and thriving, said Casey Jones, ACRES director of land management. 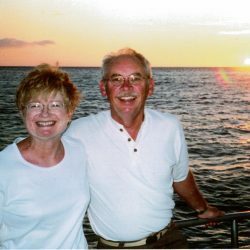 Ruth Wilson sold Grass Lake to ACRES, determined to protect her family’s land and its precious habitat forever from further mining or development, Kissel said. 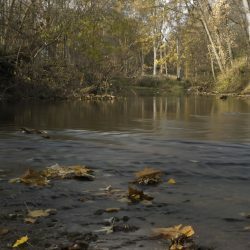 ACRES and its private donors united with state funders in the $335,000 project to preserve Grass Lake: Bicentennial Nature Trust, The Conservation Fund, Indiana Department of Natural Resources Division of Nature Preserves and the state’s President Benjamin Harrison Conservation Trust Fund. About $25,000 additional is needed to complete the purchase. ACRES Land Trust Inc. protects natural forests, wetlands, unique geological formations and threatened wildlife and plant habitats in northeast Indiana, northwest Ohio and southern Michigan. 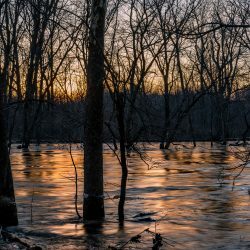 The member-based nonprofit also protects farmland, managed forests and other property that donors wish to protect from development and destruction. Learn more at acreslandtrust.org.